A seamless printing automation solution. BarTender and NeuraLabel - Create and Automate Labels, Barcodes and More! 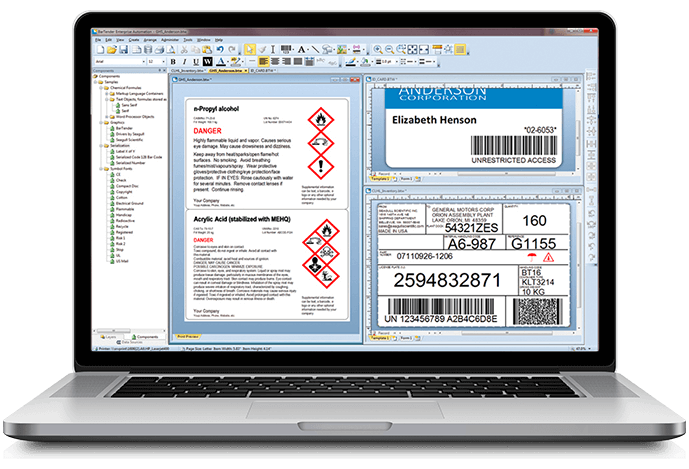 BarTender® barcode and label software and our NeuraLabel printers integrate seamlessly with your regulatory data — whether stored in an ERP system or in a local database — to create a dependable and scalable label printing solution that completely automates GHS compliance label printing.